One of the advantages of being an appraiser is the sheer volume of incredible things one comes across on a weekly basis. Not all are hugely valuable, antique, rare or even all that sought after. Many times their value is only sentimental, but they often come with priceless provenances. Our Worthologist file cabinet is a treasure chest of such items– appraisal requests from our clients ranging from stuffed aardvarks to folk art zithers, all of which I’ll cover here in this column. 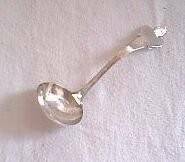 A George C. Shreve & Co. sterling silver ladle. Your ladle is a very nice piece. Geo.C. Shreve & Co. was incorporated in 1894, but Shreve & Co. traces its roots all the way back to a jewelry store in San Francisco in 1852. No silver work was produced until circa 1882 when they began producing sterling hollow-ware. They began the production of flatware in 1904. By the end of the 19th century, George C.Shreve and Company was a well-respected producer, also retailing high-end products of other silver companies, Gorham’s being the most notable. Your particular piece is late Victorian, dating from the last quarter of the 19th Century. In the current market, comparable ladles of this size by Shreve & Co. have a replacement value in the $200.00- $295.00 range. The one shown below, listed on our Worthopedia, sold for $295.00. Shreve & Co. circa 1895 punch ladle sold for $295 in 2008. 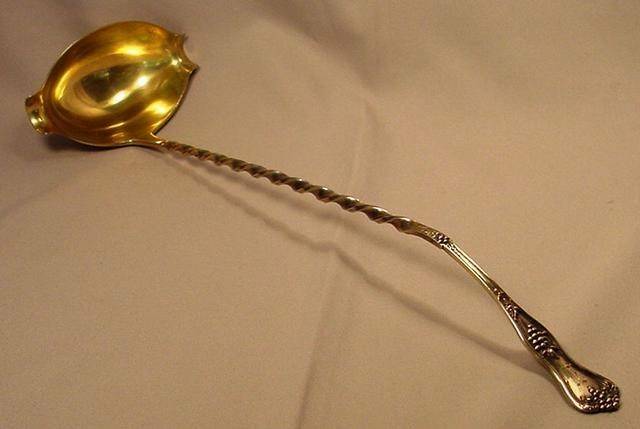 Another Shreve & Co. ladle shown below sold for $225. 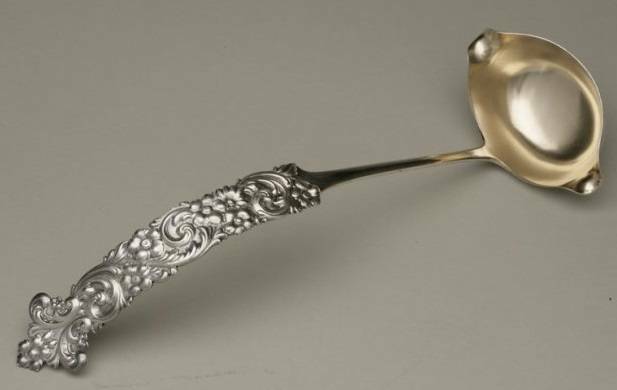 This Shreve and Co. ladle sold for $225 in 2006. Chinese Export Silver: An Almighty Battle Royal over a Tea Set! Chinese Export Silver: The 19th-Century Phenomenon Equivalent to the iPad!